Kibanova, Daria, Martin Trejo, Hugo Destaillats, and Javiera Cervini-Silva. "Photocatalytic activity of kaolinite." Catalysis Communications 12.8 (2011) 698-702. Fisk, William J, Hugo Destaillats, and Meera A Sidheswaran. "Saving energy and improving IAQ through application of advanced air cleaning technologies." REHVA Journal 48.3 (2011) 27-29. Destaillats, Hugo, and William J Fisk. Investigation of IAQ-Relevant Surface Chemistry and Emissions on HVAC Filter Materials. Berkeley: Lawrence Berkeley National Laboratory, 2010. Timko, Michael T, Zhenhong Yu, Jesse H Kroll, John T Jayne, Douglas R Worsnop, Richard C Miake-Lye, Timothy B Onasch, David Liscinsky, Thomas W Kirchstetter, Hugo Destaillats, Amara L Holder, Jared D Smith, and Kevin R Wilson. "Sampling artifacts from conductive silicone tubing." 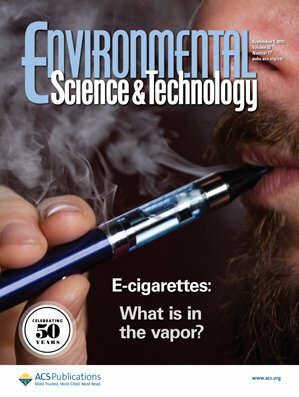 Aerosol Science and Technology 43.9 (2009) 855-865. Kibanova, Daria, Javiera Cervini-Silva, and Hugo Destaillats. "Efficiency of clay-TiO2 nanocomposites on the photocatalytic elimination of a model hydrophobic air pollutant." Environmental Science and Technology 43 (2009) 1500-1506. Wang, Rui, Francis Tsow, Xuezhi Zhang, Jhih-Hong Peng, Erica S Forzani, Yongsheng Chen, John C Crittenden, Hugo Destaillats, and Nongjian Tao. "Real-Time Ozone Detection Based on a Microfabricated Quartz Crystal Tuning Fork Sensor." Sensors 9.7 (2009) 5655-5663. LBNL-2821E. Kibanova, Daria, Martin Trejo, Hugo Destaillats, and Javiera Cervini-Silva. "Synthesis of Hectorite-TiO2 and Kaolinite-TiO2 Nanocomposites with Photocatalytic Activity for the Degradation of Model Air Pollutants." Applied Clay Science 42 (2009) 563-568.